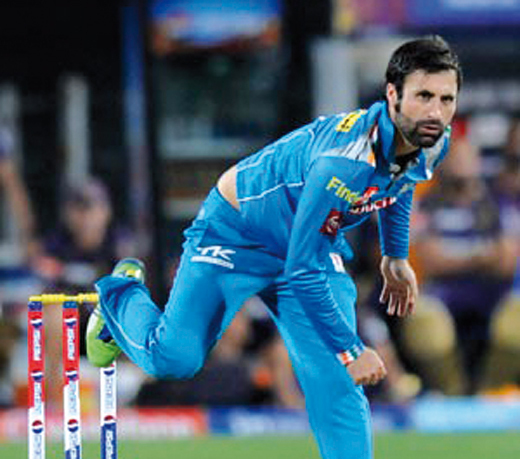 Of late cricketer Parvez Rasool is in news for things other than his cricketing skills. In 2010, a few months after Kashmir saw one of its bloodiest summer uprisings, Parvez rose to fame as valley’s first cricketer to don prized Team India cap. The move set a few tongues wagging questioning the motive behind his selection! But more than his on field exploits as a talented cricketer, Parvez made headlines first in 2009 when he was detained at a Bangalore airport on charges of carrying traces of explosive material. Once he was cleared of the charges, he focused his energies on domestic cricket. His outstanding performances at the domestic level fetched him a call from BCCI to join India’s A Team to play against Australia in 2013. A year later he was selected in Indian cricket team for Zimbabwe tour. His inclusion attracted huge media galore both at local and in mainstream Indian media. But every time Parvez took to ground, the focus was how he would deal about the political baggage every Kashmiri carries along. However, amid the scam ridden Jammu and Kashmir cricket, the rise of Parvez Rasool has been an intriguing modern story in Indian cricket, far more compelling than the headline-making politicking. On Zimbabwe tour, Parvez did not get a single game which prompted the then Jammu and Kashmir Chief Minister Omar Abdullah tweet his dismay. A few months later Parvez was once again included in Team India for Bangladesh Tour. There he got a chance to become the first ever Muslim cricketer from J&K to play for India. However, the debut in Bangladesh remained his maiden International outing until last week when he was again selected to play for India in a T20 match. In the meanwhile Parvez played in the Indian Premier League, keeping him in the news on and off. Back home, his inclusion in Team India received mixed bag of response with social media users both hailing and criticizing him. In a conflict zone like Kashmir even cricket is not apolitical was the undertone. What added to the mess was his projection as a Kashmiri youth icon, who made it big despite serious glitches, like the 2009 incident. In 2016, as soon as Rasool’s selection made headlines, social networking sites began discussing what that would mean for the fan fraternity in the Valley. While many Kashmiris admire his cricketing talent, others dubbed him a “traitor”. The recent controversy surrounding Parvez happened recently when he was seen chewing a gum while Indian national anthem played in the background. “Parvez belongs to a conflict zone. Therefore, his selection will be viewed through that prism. He has to receive bouquets as well as brickbats,” a senior journalist said. “Fielding a Kashmiri carries a strong political message which few in the Valley will like. On the other hand, if Parvez fails to give his best during a match, many will question his loyalty. The 24-year carries a double-burden on his shoulders,” he said. Although he had already represented India, Parvez’s recall in the team gave CM Mehbooba an opportunity to use success stories to “counter the discourse”. Whether Parvez is a political statement or a sheer talent, only time will tell!